4 Bedroom Detached House For Sale in Mansfield for £525,000. An exciting NEW Development located in the heart of Berry Hill, Mansfield. Park view is a selection of 4 and 5 bedroom executive homes situated off Berry Hill Lane, the first phase is due to complete in late April 2019. Park View, Berry Hill Hall offers a fabulous opportunity to own a fine, executive home in a stunning, secluded location, yet close to all local amenities. 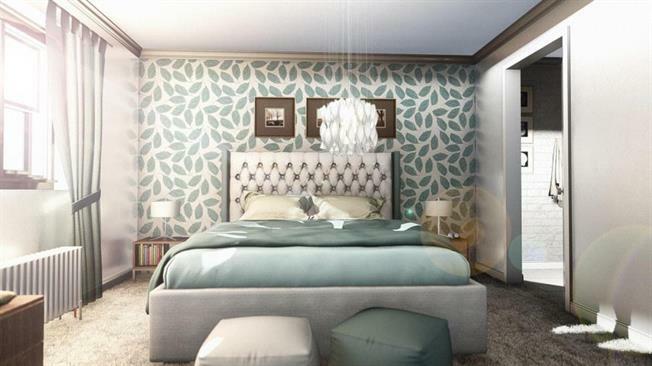 Each property will be well appointed with fixtures and fitting in keeping with a prestigious development of this type. Purchasers reserving early will be able to place their own stamp on choice of colours for the kitchen and flooring. The development provides ready access to Mansfield, and Nottingham, with easy access to the motorway network. We are excited to release the first phase of Park View, West Gate Lodge and East Gate Lodge, both are high specification 4 bedroom detached properties with garages. Only two of this house type is available. The properties comprise of a spacious lounge to the front of the property with bay window & log burner, large, airy hallway and open study/playroom plus downstairs WC. To the rear of the property, a beautiful open plan kitchen, dinning area and utility room with bi-folding doors leading out to the garden. The kitchen includes double oven, gas hob with extractor fan, integrated fridge/freezer, dishwasher and wine cooler. Upstairs there are 4 double bedrooms, three of the bedrooms have en-suites, one of them being the master bedroom plus a family bathroom. The master bedroom includes a walk in wardrobe with fitted wardrobes plus a juliet balcony. For further details on these executive, family homes, please contact us today, we are now taking reservations and are offering potential buyers the opportunity to personalise their dream homes with flooring and kitchen colours.